The alarm bells raised by the relative mediocrity of 'Iron Man 2' were somewhat assuaged by Robert Downey Jr's strong returning performance as Iron Man in 'The Avengers' last year. Previous director Jon Favreau perhaps unsurprisingly did not return to his duties, although the appointment of esteemed screenwriter Shane Black as writer-director was something of a leftfield choice. Black's efforts are reasonable, negotiating the film's action sequences deftly but lacking somewhat in the emotional stakes. Following the events of 'The Avengers', Tony Stark (Downey Jr) finds himself in a haunted, obsessive mood - unable to sleep, he dedicates most of his extended waking hours to building new suits. 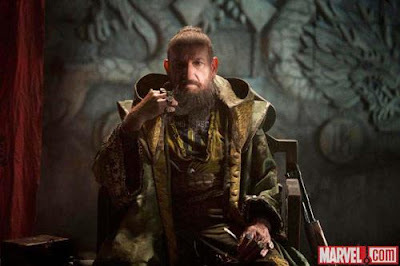 Stark's absence has led to the rise of The Mandarin (Ben Kingsley), a terrorist with Bin Laden-style videos, except with better production value. The Mandarin's spate of explosions have left no forensic evidence, and it takes an injury to someone close to Stark to jolt him into action. Stark's chosen method of action is quite poorly thought out and leads to the film's best action sequence as his Malibu home is reduced to rubble through a gunship battle - far more co-ordinated, destructive, and effective than the effort seen in last year's Bond film 'Skyfall'. Stark, of course, somehow survives but soon it becomes clear that there is more than meets the eye with his latest antagonist. The manner in which 'Iron Man 3' unravels is thankfully unpredictable, at least to those not familiar with the Extremis storyline from the comics. Co-writers Drew Pearce (another surprising but welcome choice, with his underrated 'No Heroics' TV series now sure to get further recognition) and Black deserve credit for this, although they seemingly struggle with giving the film much of an emotional gravitas. Instead, Pearce and Black rely on Stark's defacto sassy nature, providing Downey Jr with comedic one-liners in potentially heartfelt situations - not quite managing to balance the comedy and drama as successfully as his character did in 'The Avengers'. Stark's smart-alecking is often amusing, and Black's direction of the big action sequences is unexpectedly adept but the film lacks in emotional investment. The missing element is highlighted by the brief return of Yinsen (Shaun Toub) in a flashback scene, whose simplistic-yet-heroic character arc in 'Iron Man' is one of the most powerful of any superhero film, let alone this series. An improvement over previous editions however is the increasing stature of Pepper Potts (Gwyneth Paltrow), no longer simply a damsel in distress but now visibly formidable. 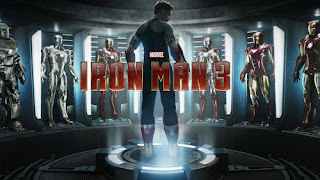 The forced but perhaps necessary references to the finale of 'The Avengers' manifest themselves in Stark's fallibility throughout 'Iron Man 3', a creative decision that feels somewhat reminiscent to adapting the "demon in the bottle" comic storyline without portraying alcohol abuse on screen. Instead, we see no relationship between Stark and his infamous drinking, and moreover, little of his relationships with anyone else. The insularity of Stark is played upon, forgetting his meeting with Guy Pearce's character many years before he becomes a prime factor in the film. Pearce is on top form as the deliciously despicable Aldrich Killian and Downey Jr embodies Tony Stark with his usual verve, but it is Ben Kingsley who proves most compelling. The manner in which The Mandarin's storyline plays out is a testament to the skill and quirk of Pearce and Black, but it is a shame that they failed to deliver the heart to elevate 'Iron Man 3' into the upper echelons of the genre. The post-credits scene is similarly middling, featuring Stark chatting to another Avenger, without really saying much. 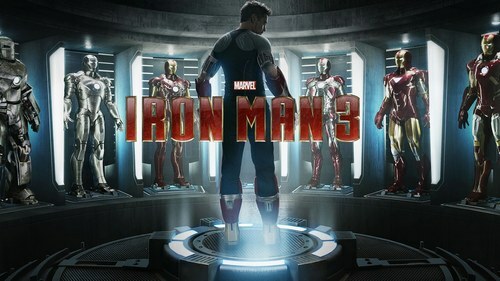 'Iron Man 3' is out in UK cinemas now, in 2D and 3D.